Required for persons who produce, buy, or otherwise offer for sale, cocoa beans. The main prerequisite for this type of licence is that dealers must exhibit a farm, or production capacity, of at least 20 metric tonnes of cocoa per crop year. Required for persons who process, dry, cure, ferment, clean or otherwise prepare for sale, cocoa beans. Required for persons who operate nurseries that plant the recommended varieties of cocoa seedlings for sale to farmers. To apply for licensing, and get information on fees, click here. 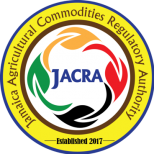 Permits are required to import and release/clear cocoa products into Jamaica.